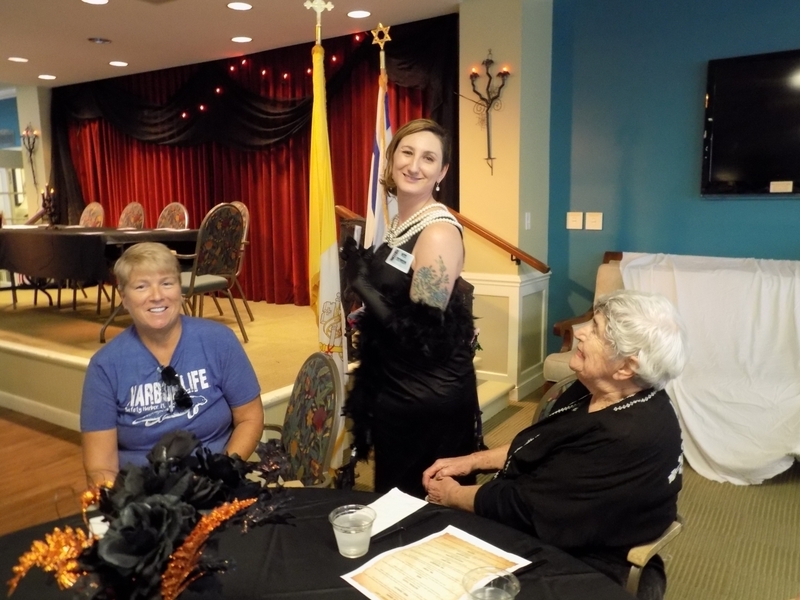 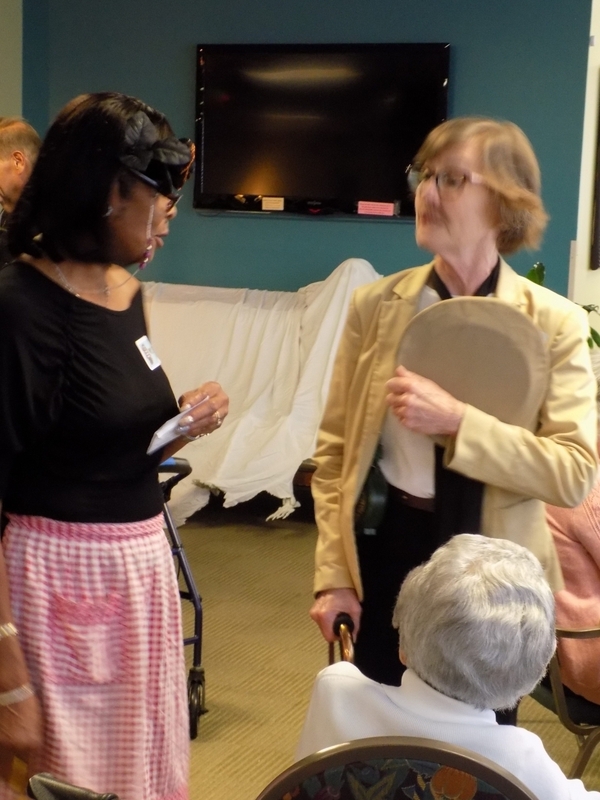 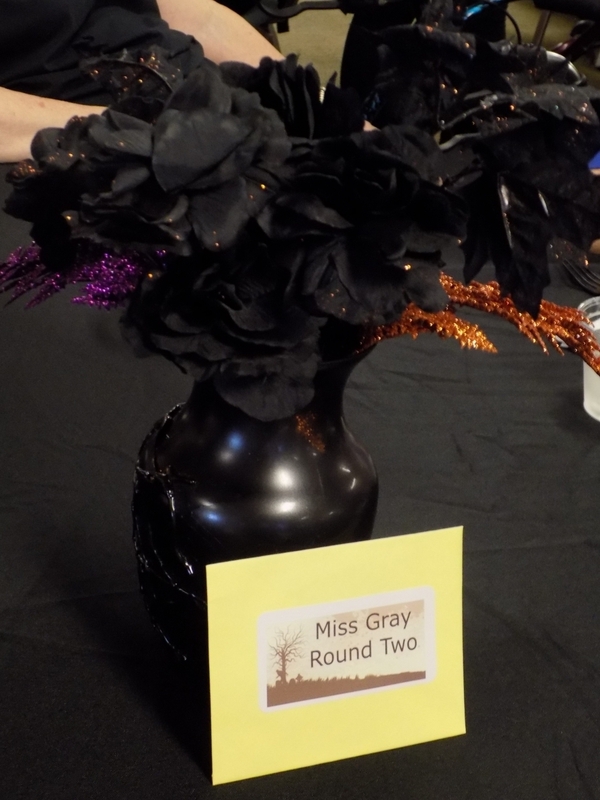 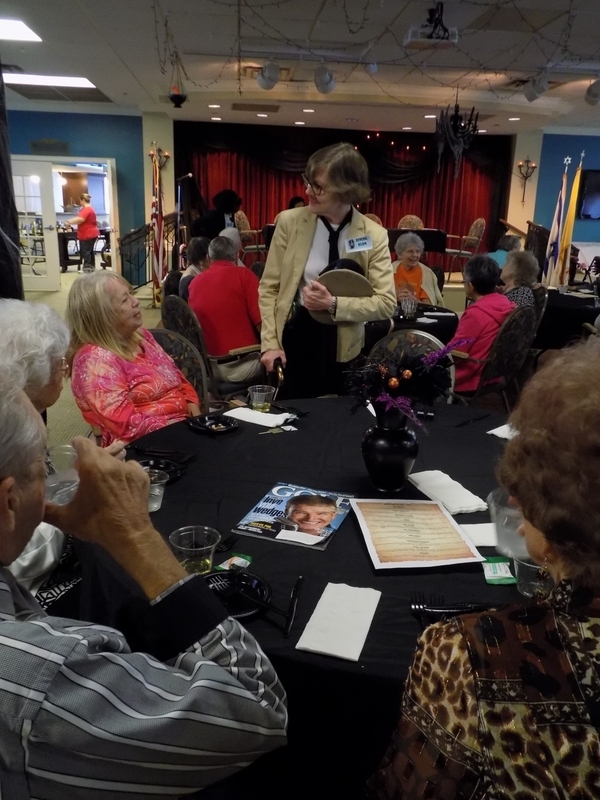 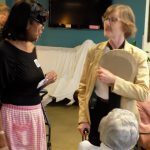 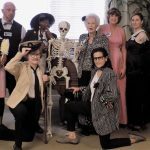 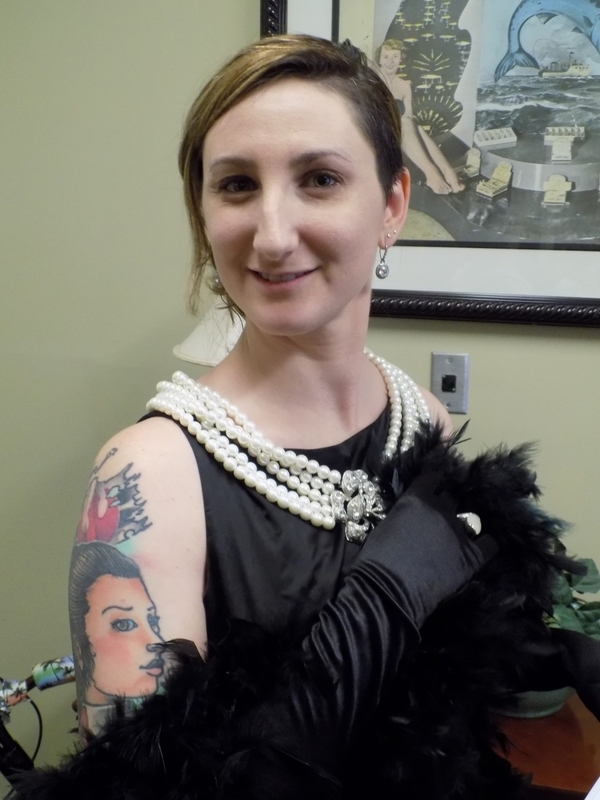 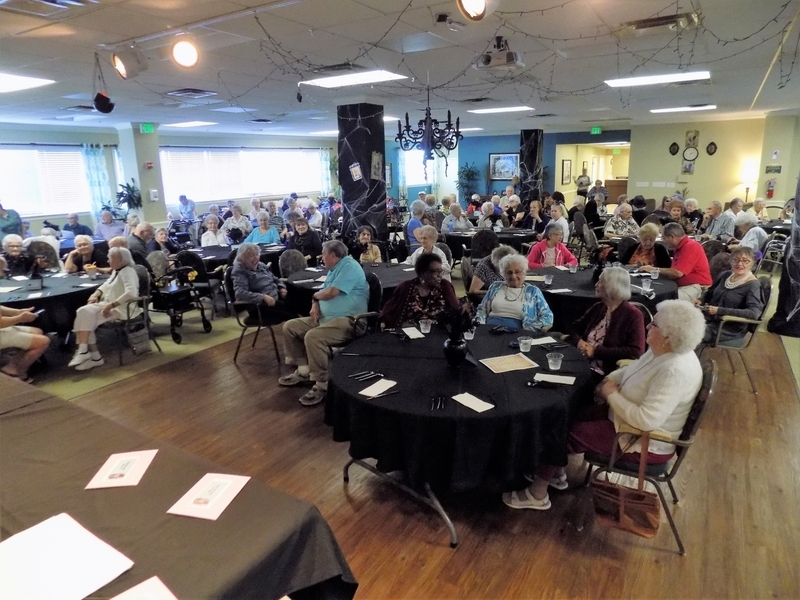 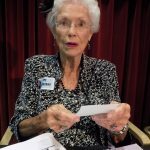 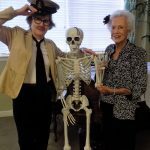 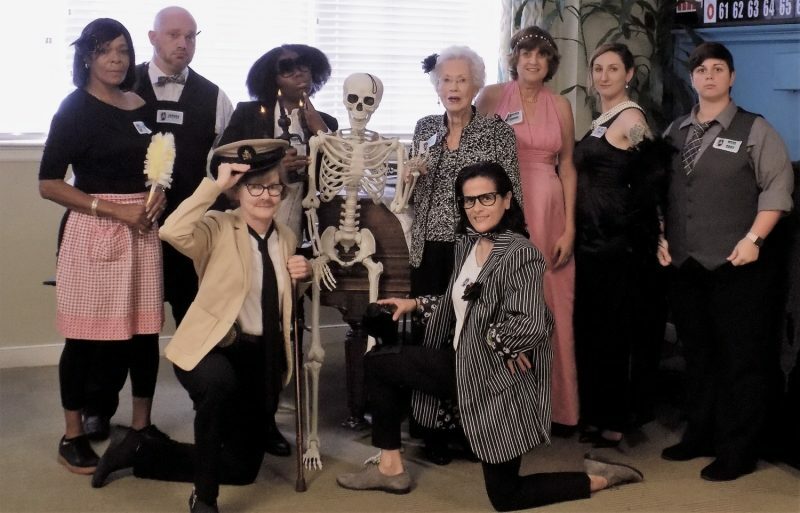 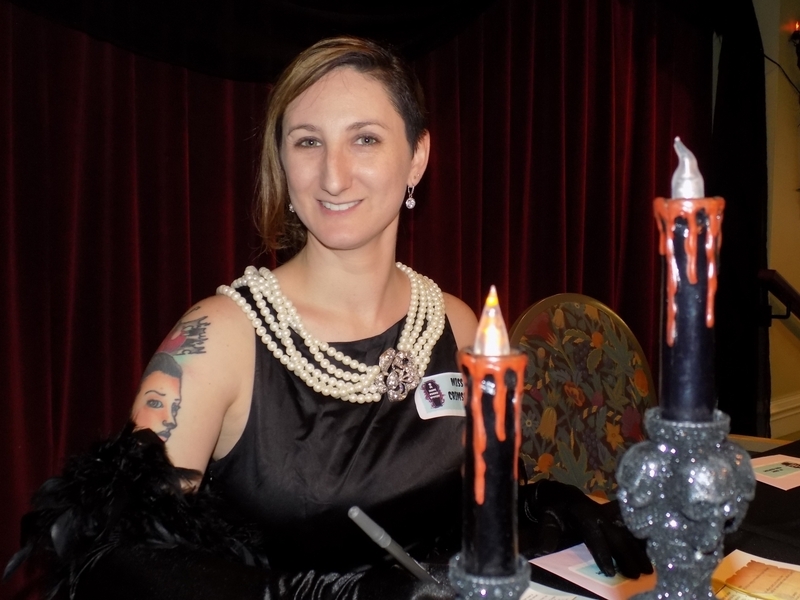 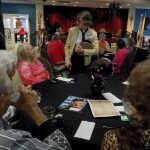 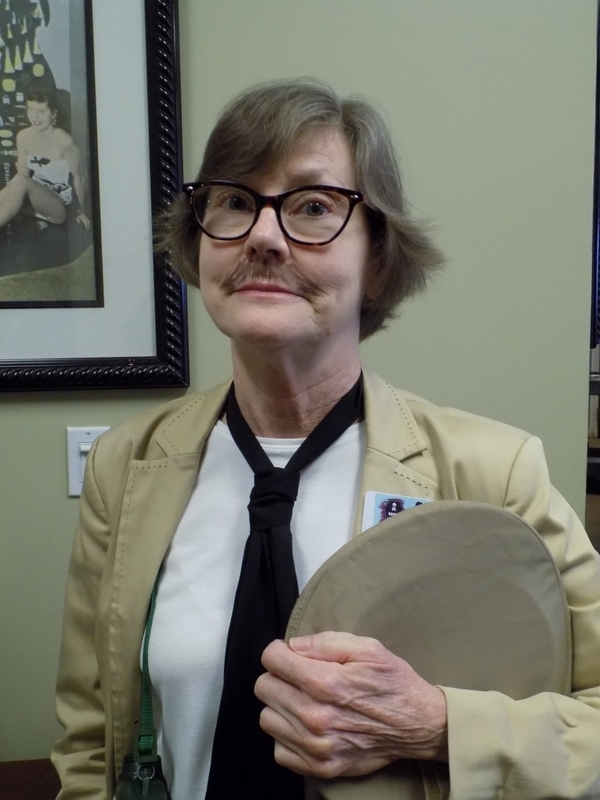 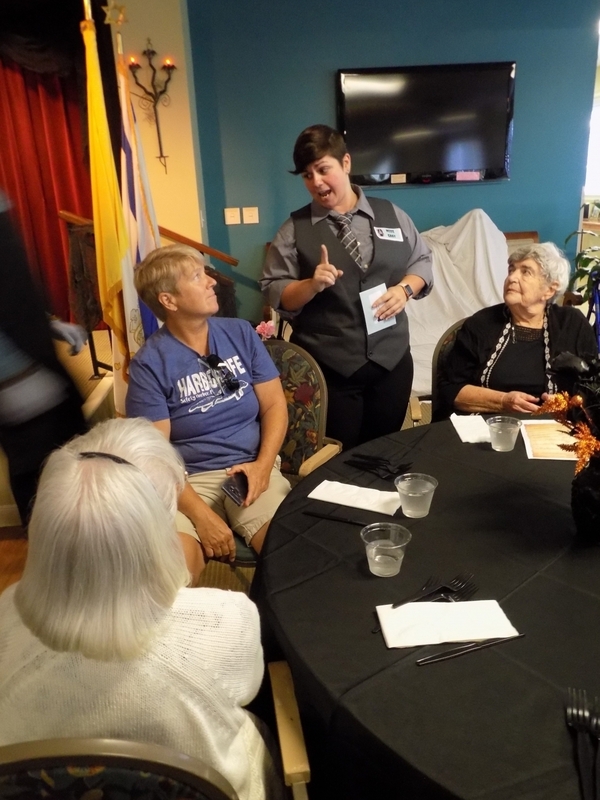 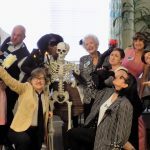 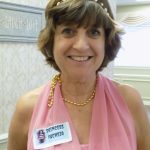 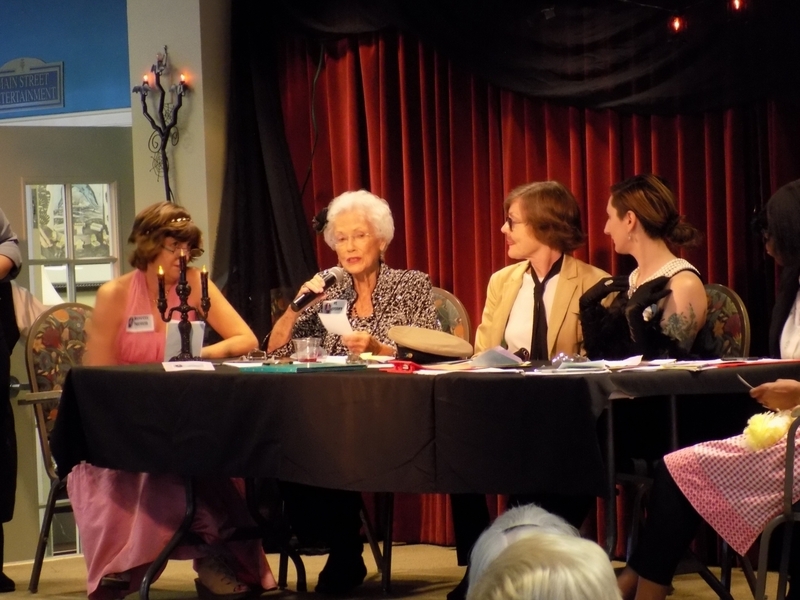 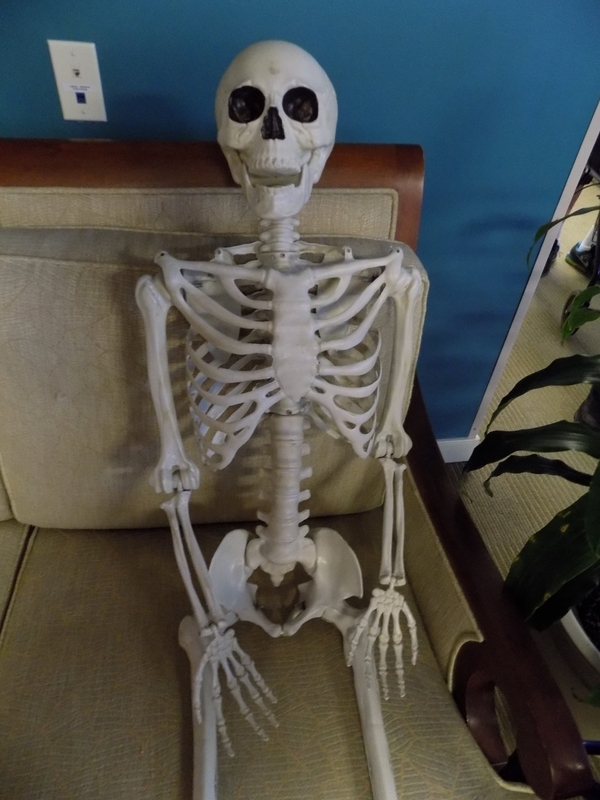 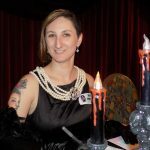 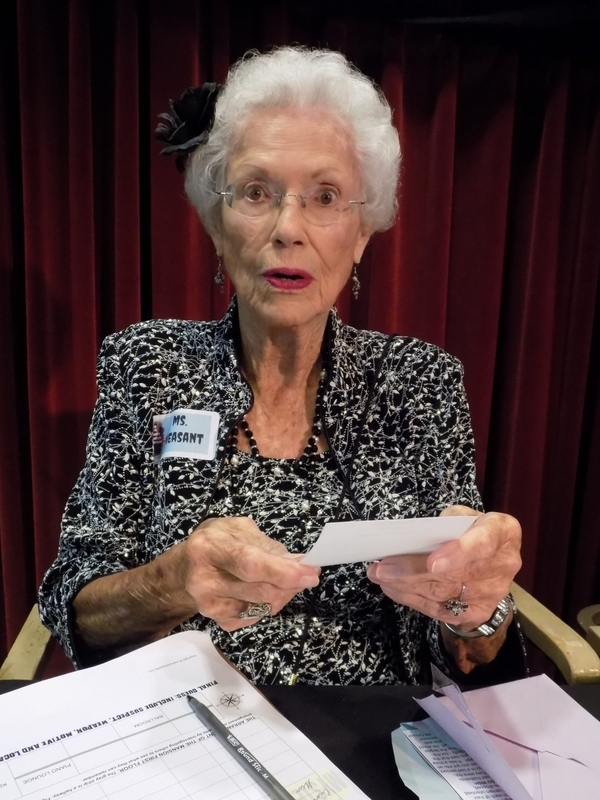 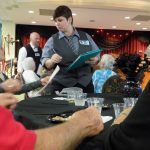 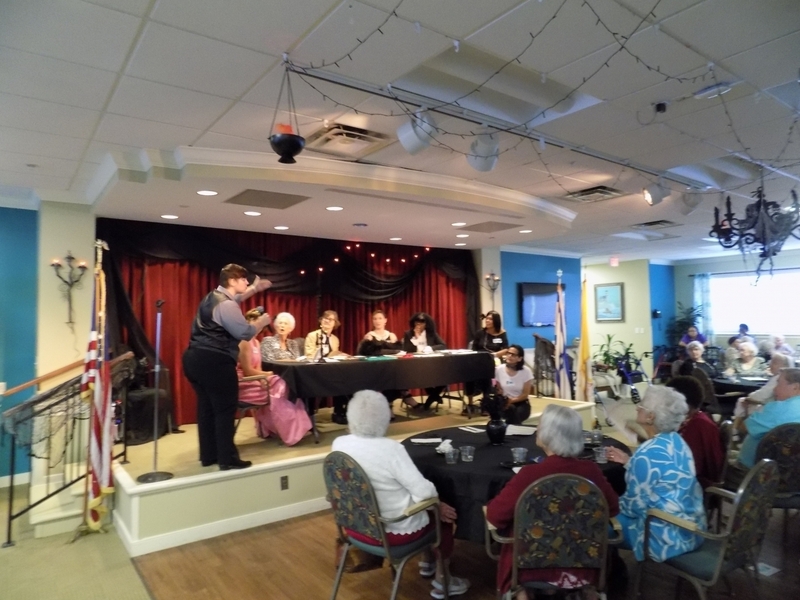 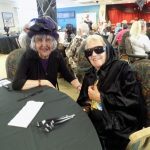 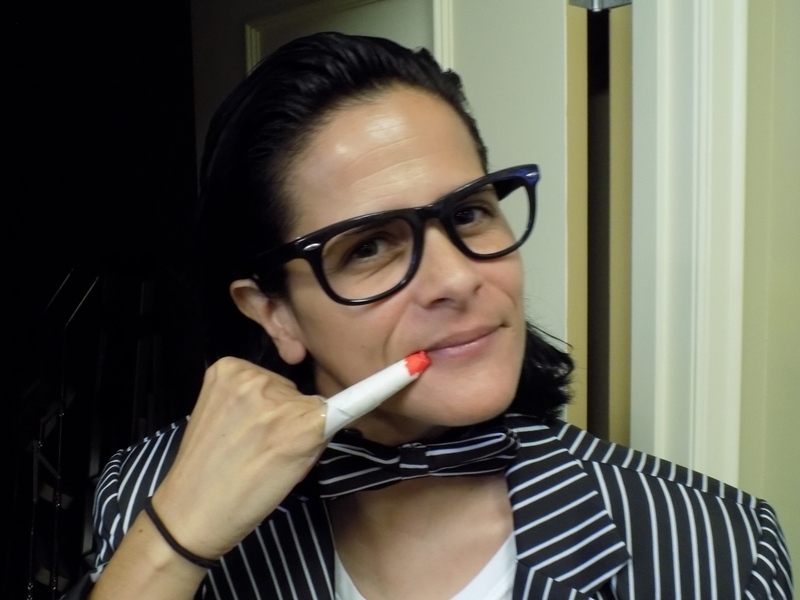 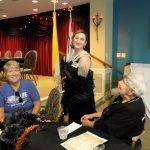 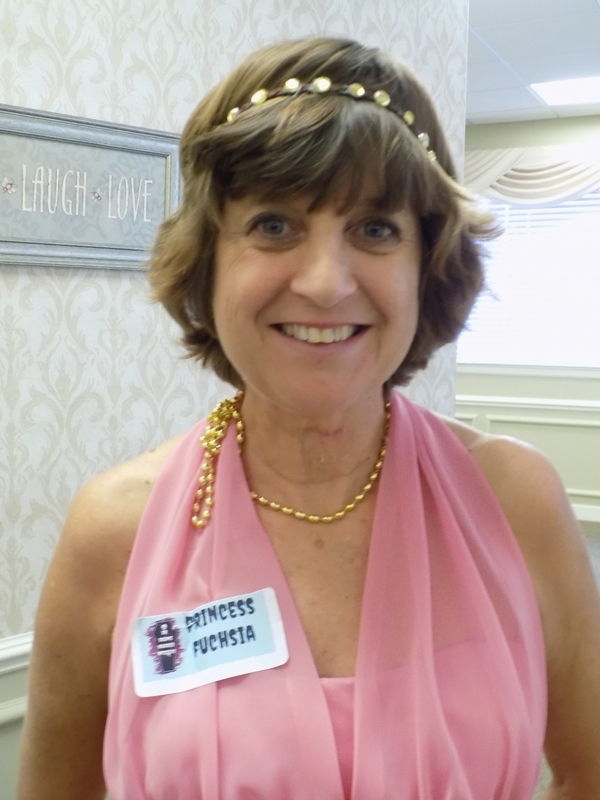 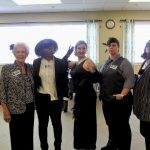 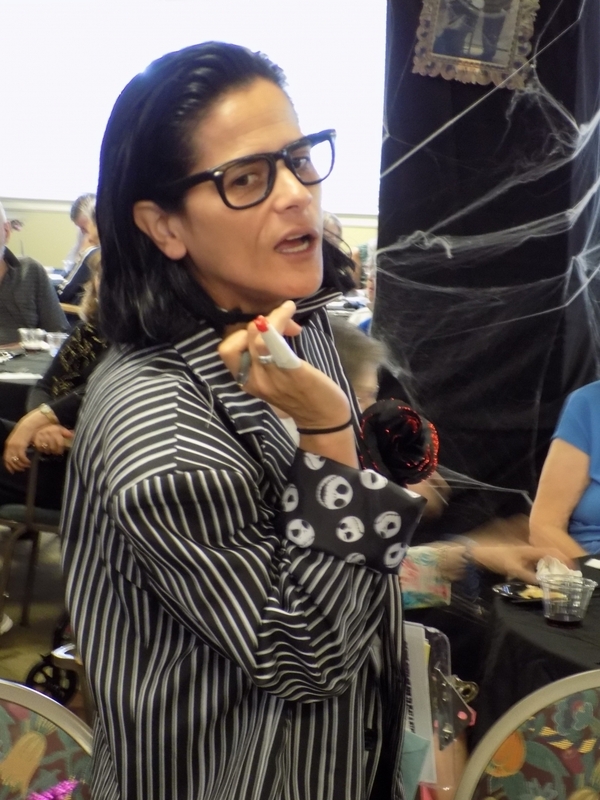 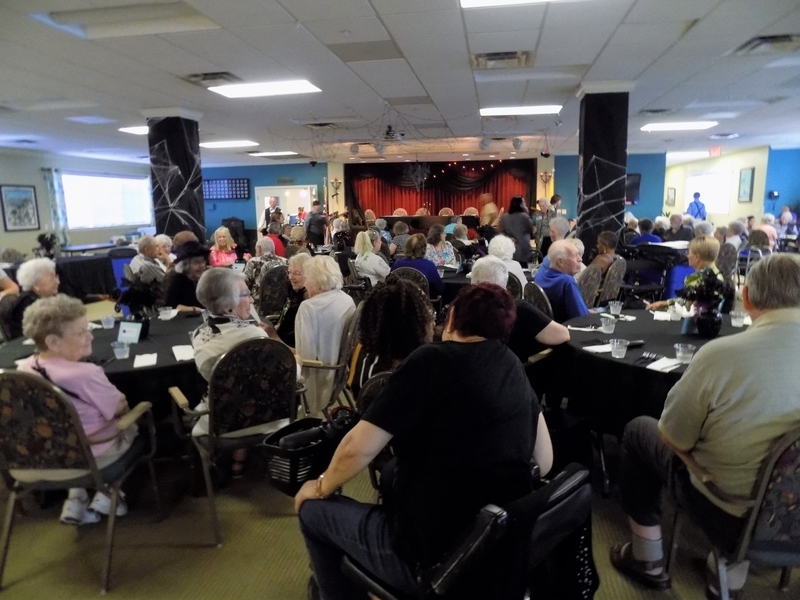 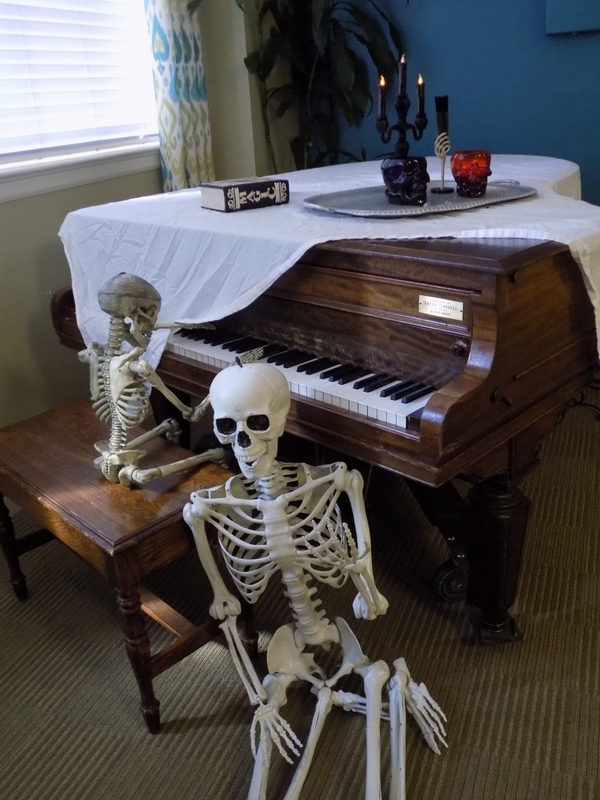 In the spirit of October, The Fountains hosted their first Murder Mystery Dinner Party. 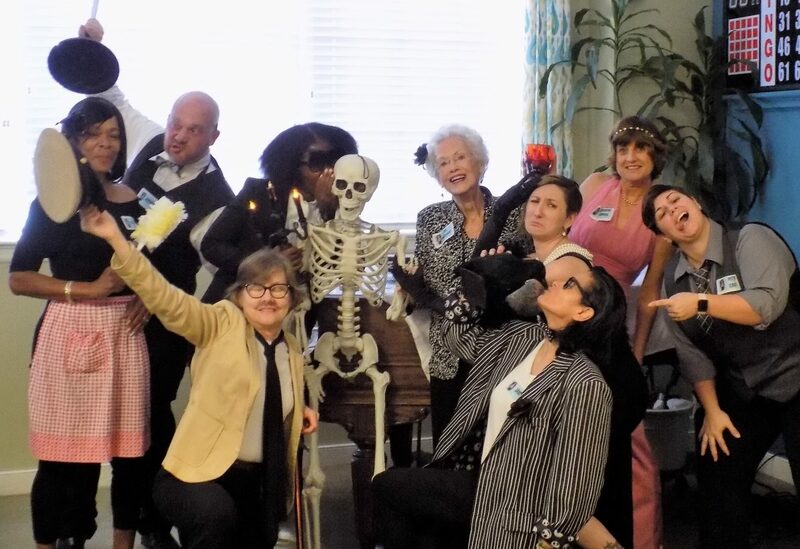 With over 105 people in attendance and 11 people playing character roles, this party was a riot! 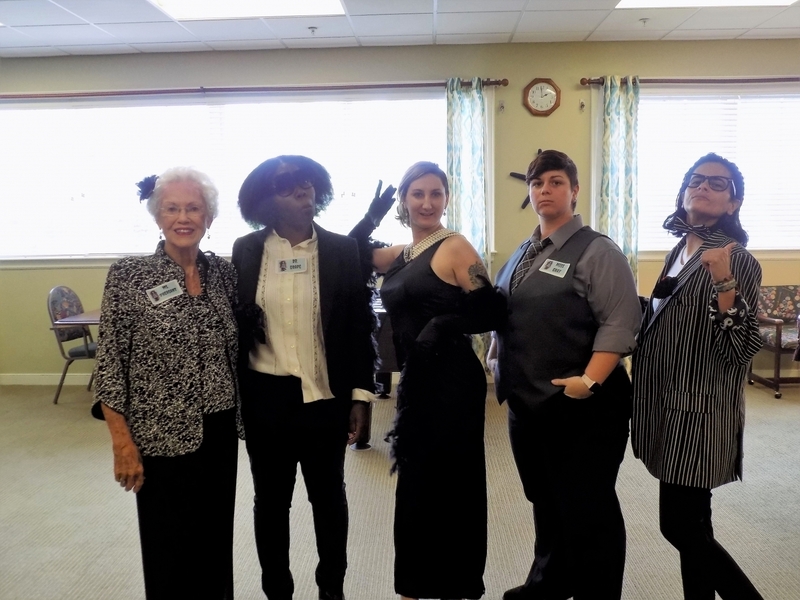 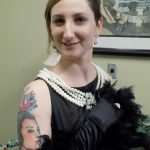 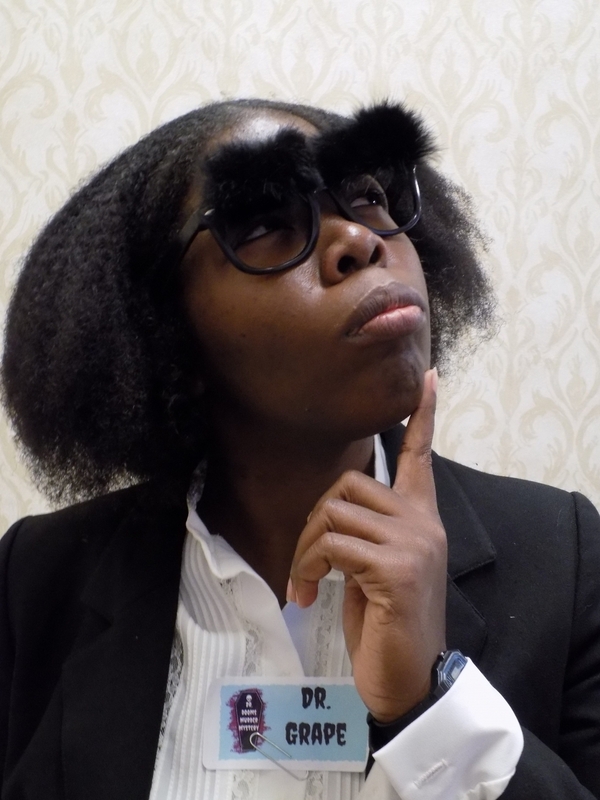 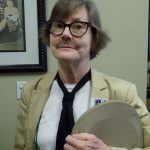 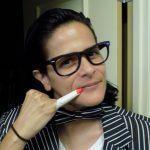 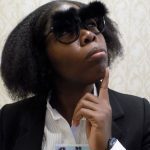 Each in their role with characters ranging from Dr. Grape, the Chemist, to Ms. Pheasant, the High Society Socialite, to Jeeves, the Butler, players went around the room in true dinner party fashion, mingling with all the guests. 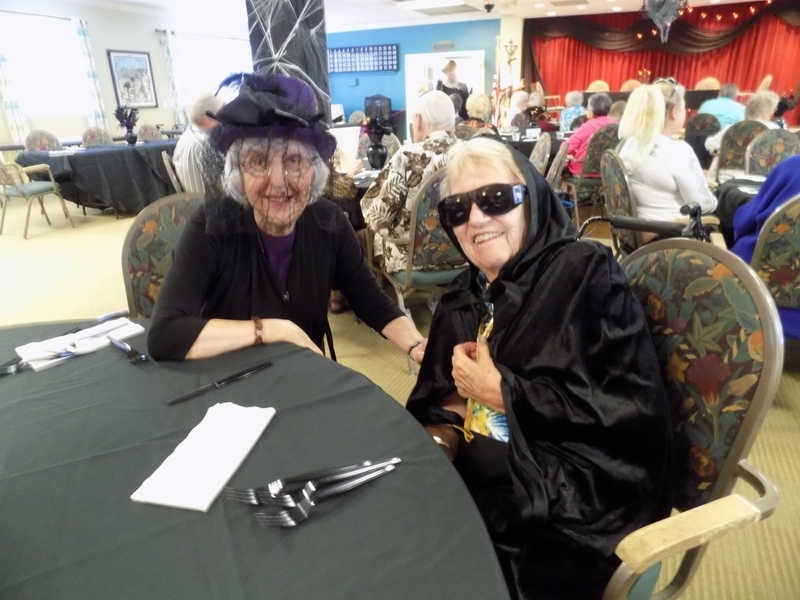 During their mingling, they located their clue cards that helped to start piecing together the story of what happened to dear old Dr. Doom! 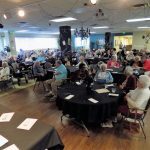 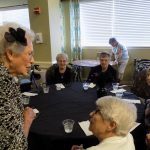 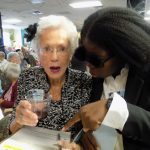 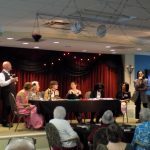 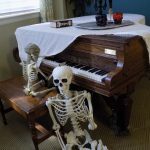 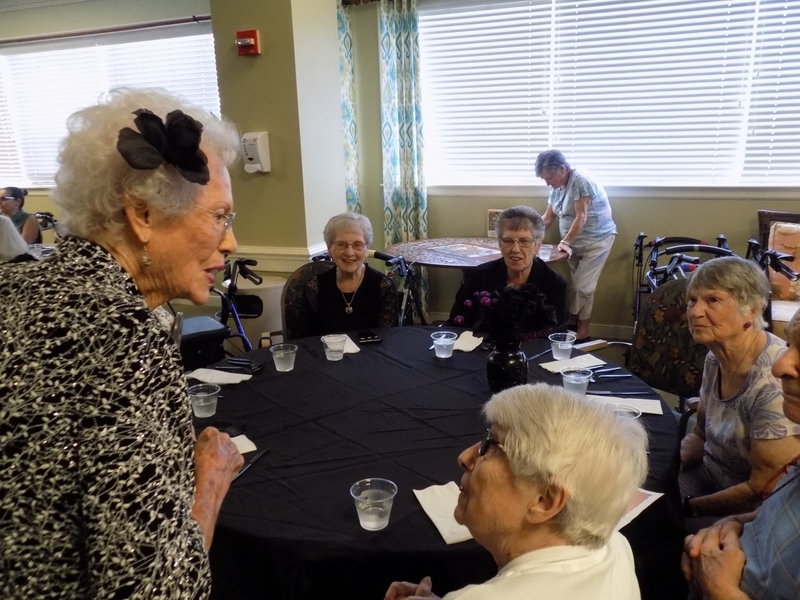 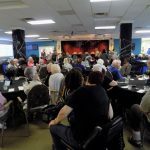 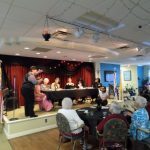 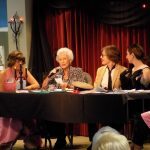 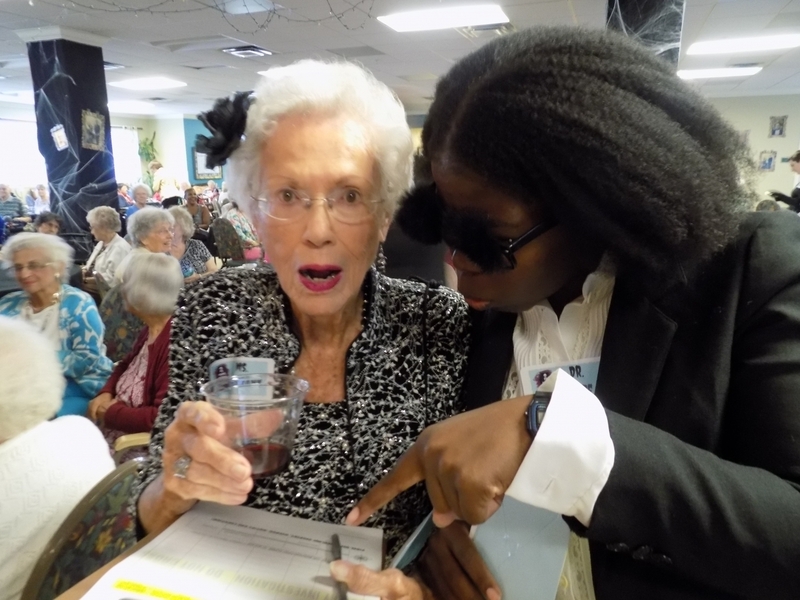 As the characters chatted, yelled and caused dramatic scenes, residents started to share the gooey gossip they found out with others and all began to have their suspicions. 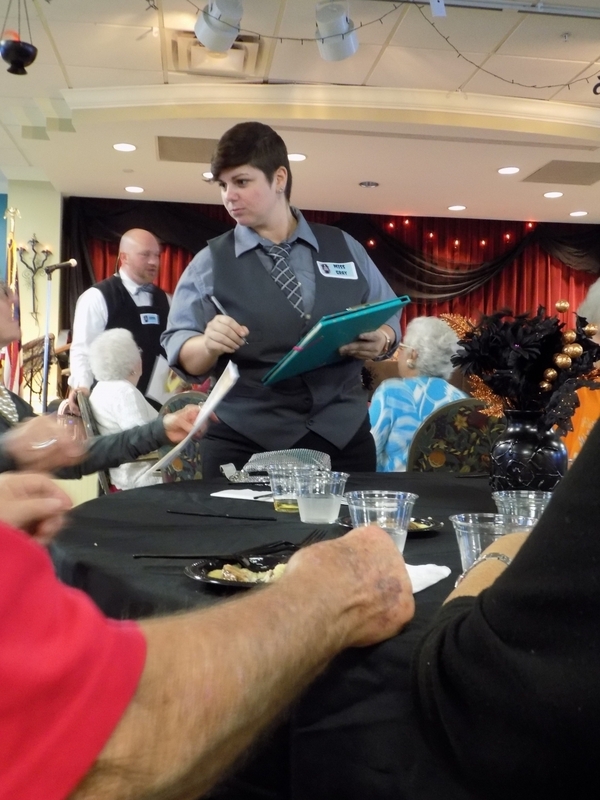 All the while, residents dined on a new course with each new round. 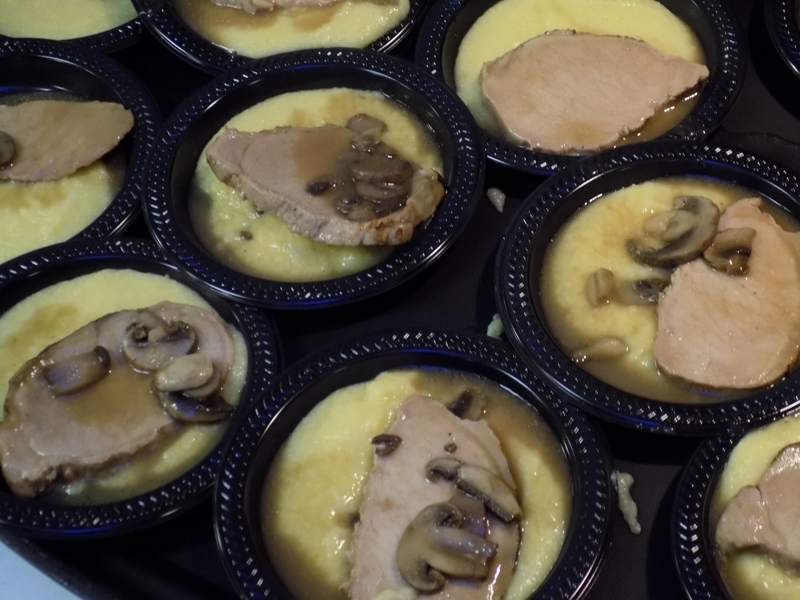 The menu was mysterious as well, with Ship & Grits Cake, Pork Marsala with Creamy Polenta, and Chocolate bread pudding with a whiskey caramel glaze. 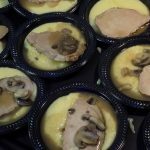 It wasn’t the food itself that was interesting, yet the look of it all! 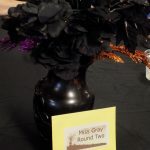 At the beginning of round 3, the characters came up to their dinner table and began to finalize their conclusions on how murdered Dr. Doom. 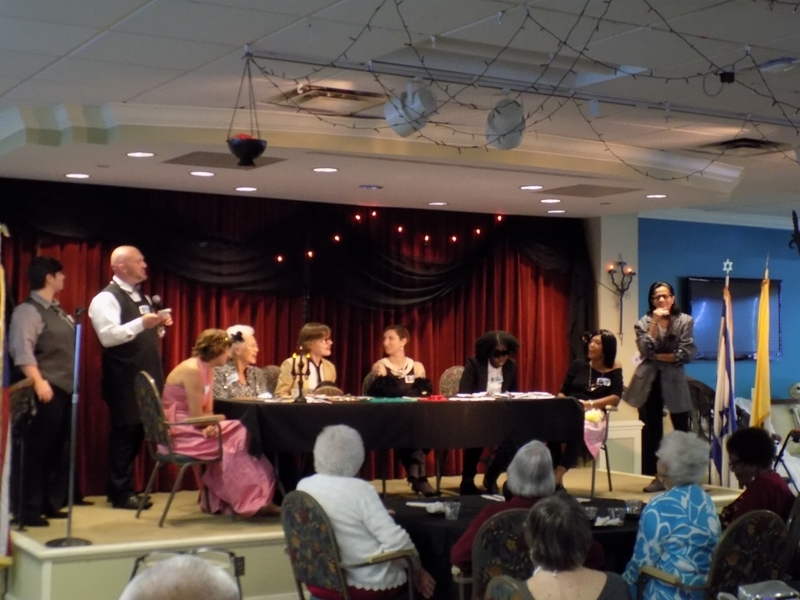 Each character went around the table, sharing their accusations, but not without much debate from the audience and a very boisterous Chef Ginger. 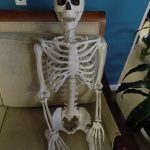 The killer was finally revealed, but we will leave that a mystery here as to not spoil the fun for anyone that has wanted to play this game. 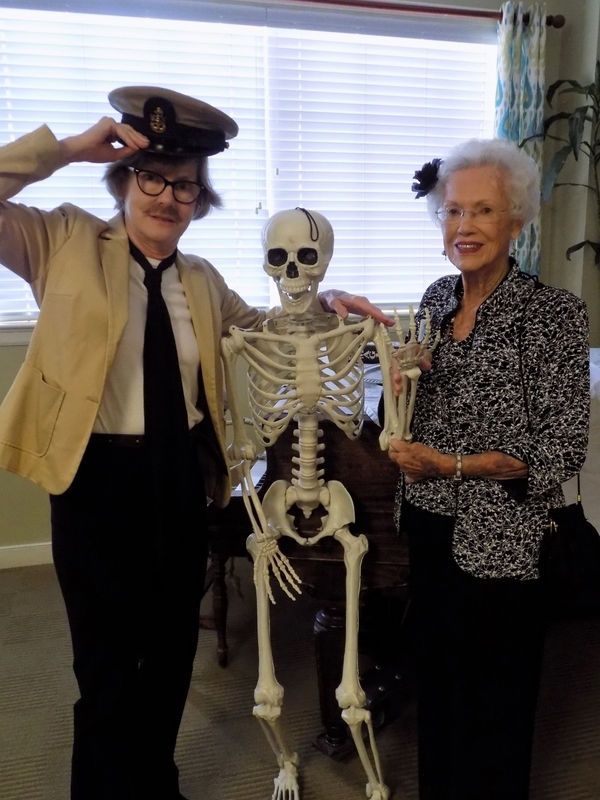 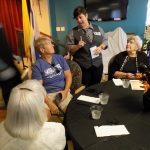 We’d like to thank our special resident guest players, Donna and June, for being such amazing participants and really making this a Two Chef’s Show to remember!